A cancer diagnosis is scary. It can leave you feeling shocked, angry, resentful, worried,and helpless and may be in denial of the whole condition. It is therefore important to take your time to acknowledge whatever feelings you have and to give yourself a space to think more clearly, connect with your loved ones and get all the support you need in your healing journey. By support I am referring to emotional and physical support and guidance from family, friends and a trusted health team. You need all the care, help, love and scientific health guidance that you can get to beat cancer and surf through difficult times safely and smoothly. It is also very important to shift to a mindset of hope, empowerment and courage. This will only be possible when you are empowered with the right knowledge about your condition, different treatment options and the unlimited ways that you can support yourself using a holistic nutrition and lifestyle approach. Cancer is a serious disease but it is not a death sentence. Cancer diagnosis is a challenge that can transform your life. Winning this challenge requires a major transformation including a shift in your diet, lifestyle, relationships, mindset and may be your personality. Holistic cancer support not only nourishes your body and ensures a better quality of life throughout treatment but can also increase the efficacy of treatment and reduce the unwanted side effects with the conventional medical treatments such as surgery, chemo-and radio-therapy. It is when we are faced with challenges that we discover our true selves and inner strength. This is the time to connect with your true self, befriend your body and transform your pains through releasing deep seated emotional blocks and negative beliefs that are usually at the root cause of your illness. As a holistic nutritionist and certified cancer coach in Oakville, cancer patients come to me seeking a holistic approach to deal with their condition out of their belief in the importance of holistic nutrition and lifestyle support at different stages of their healing journey. Some come to me just after being diagnosed, before having surgery or chemotherapy and others after finishing treatment. These are all different situations and the approach that I take is usually different depending on where the client is at as well as what they are trying to achieve at this stage. In my holistic nutrition practice in Oakville, I’ve also noticed that clients who get the best results are those who believe in and adopt a holistic approach right from the beginning. Nutrition is usually one big thing they are looking at as well as adopting a healthy lifestyle and raising their energy levels. Today I want to share with you the unique holistic approach I use in my 5 Step Holistic Cancer Support program to help cancer patients fight cancer naturally with holistic nutrition and lifestyle coaching. It is a targeted science-based holistic approach that is based on five main pillars. I consider these to be the five pillars for optimum health and wellness. The science of nutrigenomics has proven that our food can change our genes. This means that certain food containing anti-cancer phyto-chemicals can actually reduce the risk of cancer. It is becoming more and more evident that eating an anticancer diet is a basic step for prevention and support of cancer. Research has also found a correlation between certain deficiencies and increased cancer risk. For example vitamin D deficiency is a predisposing factor to breast cancer in women. Correcting these deficiencies is a very basic and easy step in an anticancer diet. Following a targeted and customized supplement protocol can also ensure intake of specific anticancer nutrients in therapeutic doses.Furthermore supporting your body with the essential antioxidants and other essential nutrients that might be needed at higher levels or depleted due to side effects of drugs ensures a more efficient immune system that gets rid of any newly formed cancer cells and prevents further cancer cells from development. Nowadays we are being exposed to toxins from so many different sources. Toxins can come from pesticides or additives in foods, tap water, plastics, alcohol, smoking, medications, chronic infections etc. There are also environmental which include electromagnetic and chemical pollution in and outside the work, home and play environments. These play a real and significant yet under-recognized role in illness today. It is not only the physical toxins that can harm our bodies. There are also stress and toxic emotions such as anger, fear, resentment and hatred which are another chronic source of toxins. These emotions get stored in our body cells and organs and block the energy flow in these areas causing physical and emotional disturbances. When our toxicity level is high, our body becomes more acidic and our cells get congested and inflamed. The cells cannot function optimally and eventually will weaken and degenerate. Overtime chronic health issues and major illness including cancer can occur as a result of tissue degeneration and weakened immunity. Toxins can also be a major cause of hormonal imbalance including estrogen dominance in females and thyroid hypo-function. Hormonal imbalance is a risk factor for hormonal cancers such as breast and ovarian cancer in females. By detoxifying the physical and emotional toxins using deep detoxification and providing the body with essential nutrients to correct any deficiencies and support the body’s detox organs, you allow for a suitable environment for tissue regeneration and activation of the body’s innate healing power. A supportive lifestyle that includes physical activity, enough rest, daily stress relief and a healthy home and work environment is the third pillar to fight cancer and achieve total wellness. A sedentary or inactive lifestyle is a proven risk factors for cancer. On the other hand studies have shown that exercising for 150 minutes a week (or 30 minutes a day) can reduce your risk for cancer. Exercise also helps to reduce stress, boost oxygen supply and maintain muscle mass and flexible joints. Stress can have a dramatic effect on your mental and physical health. The effect of chronic stress and the mind body connection of disease has been scientifically proven for many years now. Chronic stress puts your body in a fight or flight response that eventually exhausts your adrenals which may lead to burnout overtime. The stress hormone cortisol has an immune suppressive effect that can diminish the body’s cancer fighting capabilities. It is a scientifically proven fact that our thoughts and emotions can alter our body functions and increase the risk for disease. Mastering your thoughts and emotions is one of the most important skills that you need to work on in order to attain a state of mental, emotional and physical well-being. When you think negative thoughts, you will generate negative emotions of hopelessness, despair and depression. These emotions are communicated through your limbic brain to the hypothalamus gland (the gland which receives direct information about your emotional state and controls all your body functions accordingly). The hypothalamus will then directly send signals to suppress your immune system and indirectly stimulate your adrenal glands (indirectly through the pituitary gland) to produce the stress hormones which will also depress your immune system as well as deplete your bones of calcium, affects your nervous, digestive and cardiovascular systems. 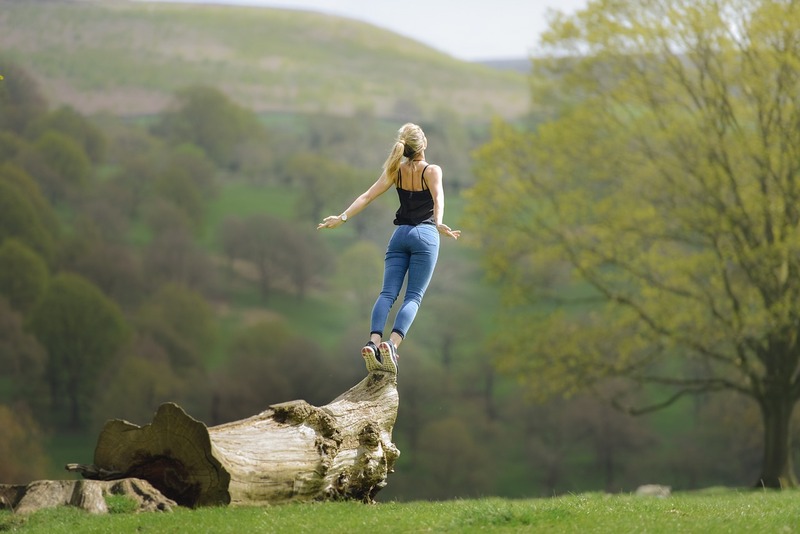 I teach my clients a variety of simple energy and chakra balancing techniques and exercises that help to balance their energy centers and keep them energized and calm throughout the day. Energy blocks are usually an underlying factor in disease development in the first place. Energy work can be very beneficial for releasing deep seated negative emotions and blocks in your energy body thus allowing for a healthy energy flow and deep physical and emotional healing. These techniques are also very helpful for dealing with stress, fear, overwhelm and pain which can be part of your healing journey. At the end, I’d like to send you my deepest feelings of support, love and appreciation of your courage in facing this challenge. I hope this information has left you enlightened, empowered and full of hope. If you are not a cancer patient yourself and have found this article helpful, please share it with anyone you know that might need this information. You can help change someone’s life with a simple act of kindness such as sharing useful information. 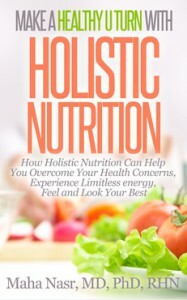 If you need help with your health and nutrition Call us at 416 876 4634 OR sign up for a FREE Clarity Session with Registered Holistic Nutritionist and Certified Cancer Coach, Dr Nasr to learn more about our “5 Step Holistic Cancer Support Program” to fight cancer naturally with holistic nutrition and lifestyle support.